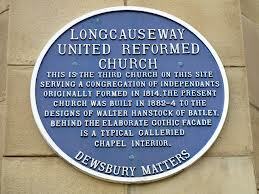 Longcauseway Church is on Dewsbury's Blue Plaque Trail. 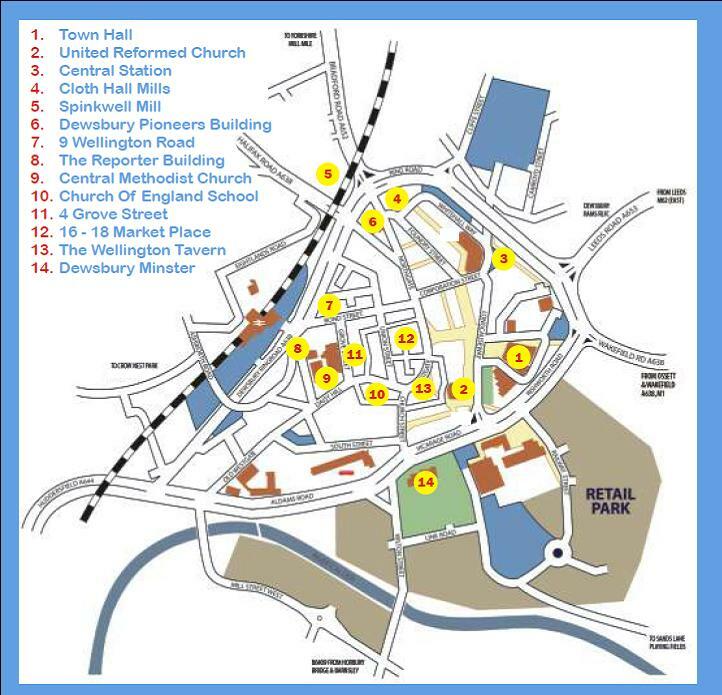 The Blue Plaque Trail was initiated by Dewsbury Matters local history group to celebrate interesting historic buildings in our town. Dewsbury Matters was set up in 1998 to commemorate the 150th anniversary of the Wellington Road Railway Station. The plaques and this leaflet have been funded by the Dewsbury Area Committee. Photographs were taken by Porl Medlock & Andrew Stone. The trail begins at the Town Hall in the centre of Dewsbury and takes approximately 1 hour at a gentle stroll.